This short film explains MSP simply and dynamically. It is suitable for everyone: from local communities to planners and policy-makers. 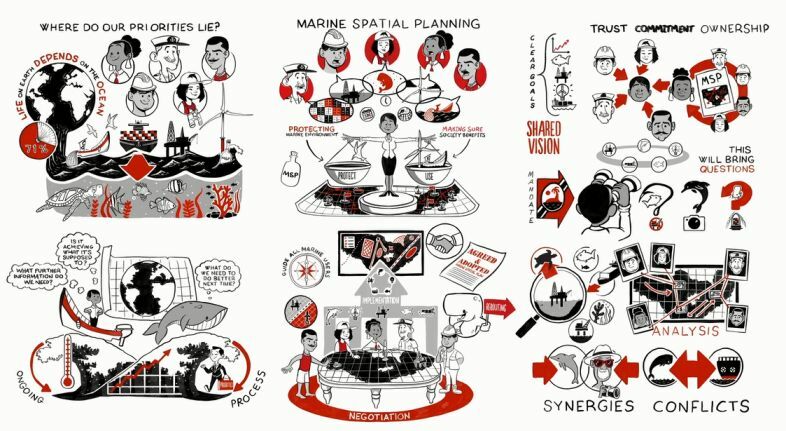 What is marine (maritime) spatial planning (MSP)? What are the basic elements of an MSP process? This video was developed as a communication tool by the global Blue Solutions Initiative and the MARISMA project in the Benguela Current region. Communicate the concept and basic elements of MSP in a dynamic, easy to understand format. The video can be used in a variety of contexts as a capacity development tool to communicate the basic concept of MSP. It was developed to be understood by a wide audience: from local communities to planners and policy-makers. The video could be shown to MSP actors and stakeholders at the outset of an MSP process to increase their understanding of what the process involves. This film has been financed by the German Federal Ministry for the Environment, Nature Conservation, Building and Nuclear Safety through its International Climate Initiative.